140 classic Victorian and Edwardian photographs. Covers the whole city, including Old Town, New Town, Calton Hill, Princes Street, West End, Leith, University quarter, Portobello, Newhaven and Dean village. To ensure that only the best photographs are reproduced, a huge number of prestigious collections were consulted and have provided images: National Museums Scotland, Historic Environment Scotland, Edinburgh City Council, Edinburgh Photographic Society, Scottish National Portrait Gallery, Francis Frith Collection, the George Washington Wilson Collection at the University of Aberdeen, James Valentine Collection, University of St Andrews, Hulton Picture Library, Getty Images, Scottish Colorfoto, Mirrorpix, Scottish Life Archive, Scottish Motor Museum. 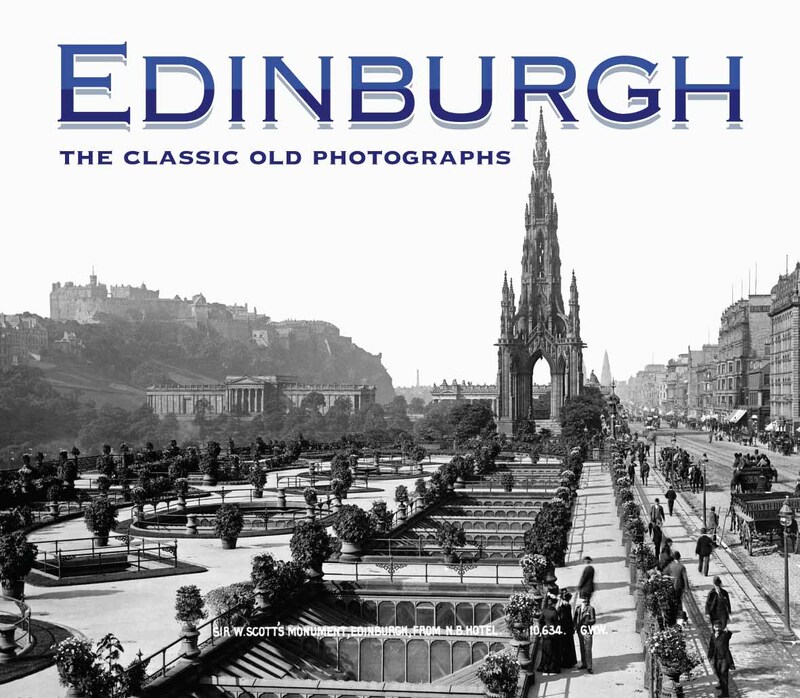 There are detailed captions for every image, along with an Introduction looking at the history of Edinburgh. This is a large-format book, and, for the best reader experience, many photographs cover the whole page. It is printed on thick, glossy, art paper, which give it a luxury feel.